35001401 ZW20 HITACHI ZW20 wheel loader. Spare Parts Catalog. Service (workshop) Manual. Operator's Instruction Manual. 35001402 ZW30 HITACHI ZW30 wheel loader. Spare Parts Catalog. Service (workshop) Manual. Operator's Instruction Manual. 35001403 ZW30L HITACHI ZW30L wheel loader. Spare Parts Catalog. Service (workshop) Manual. Operator's Instruction Manual. 35001404 ZW40 HITACHI ZW40 wheel loader. Spare Parts Catalog. Service (workshop) Manual. Operator's Instruction Manual. 35001405 ZW50 HITACHI ZW50 wheel loader. Spare Parts Catalog. Service (workshop) Manual. Operator's Instruction Manual. 35001406 ZW65 HITACHI ZW65 wheel loader. Spare Parts Catalog. Service (workshop) Manual. Operator's Instruction Manual. 35001407 ZW75 HITACHI ZW75 wheel loader. Spare Parts Catalog. Service (workshop) Manual. Operator's Instruction Manual. 35001408 ZW80 HITACHI ZW80 wheel loader. Spare Parts Catalog. Service (workshop) Manual. Operator's Instruction Manual. 35001409 ZW90 HITACHI ZW90 wheel loader. Spare Parts Catalog. Service (workshop) Manual. Operator's Instruction Manual. 35001410 ZW95 HITACHI ZW95 wheel loader. Spare Parts Catalog. Service (workshop) Manual. Operator's Instruction Manual. 35001411 ZW100 HITACHI ZW100 wheel loader. Spare Parts Catalog. Service (workshop) Manual. Operator's Instruction Manual. 35001412 ZW120 HITACHI ZW120 wheel loader. Spare Parts Catalog. Service (workshop) Manual. Operator's Instruction Manual. 35001413 ZW140 HITACHI ZW140 wheel loader. Spare Parts Catalog. Service (workshop) Manual. Operator's Instruction Manual. 35001414 ZW150 HITACHI ZW150 wheel loader. Spare Parts Catalog. Service (workshop) Manual. Operator's Instruction Manual. 35001415 ZW180 HITACHI ZW180 wheel loader. Spare Parts Catalog. Service (workshop) Manual. Operator's Instruction Manual. 35001416 ZW220 HITACHI ZW220 wheel loader. Spare Parts Catalog. Service (workshop) Manual. Operator's Instruction Manual. 35001417 ZW250 HITACHI ZW250 wheel loader. Spare Parts Catalog. Service (workshop) Manual. Operator's Instruction Manual. 35001418 ZW310 HITACHI ZW310 wheel loader. Spare Parts Catalog. Service (workshop) Manual. Operator's Instruction Manual. 35001419 ZW310-A HITACHI ZW310-A wheel loader. Spare Parts Catalog. Service (workshop) Manual. Operator's Instruction Manual. 35001420 ZW310 - HCMF HITACHI ZW310-HCMF wheel loader. Spare Parts Catalog. Service (workshop) Manual. Operator's Instruction Manual. 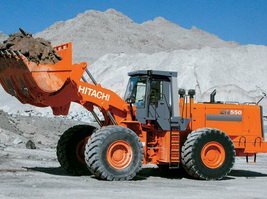 35001421 ZW330K HITACHI ZW330K wheel loader. Spare Parts Catalog. Service (workshop) Manual. Operator's Instruction Manual. 35001422 ZW370 HITACHI ZW370 wheel loader. Spare Parts Catalog. Service (workshop) Manual. Operator's Instruction Manual. 35001423 ZW550 HITACHI ZW550 wheel loader. Spare Parts Catalog. Service (workshop) Manual. Operator's Instruction Manual. 35001424 ZW550K HITACHI ZW550K wheel loader. Spare Parts Catalog. Service (workshop) Manual. Operator's Instruction Manual.